Jas, a 22 year HPE veteran and has held leadership positions across a variety of HPE functions and businesses. After graduating college, Jas began her career in procurement in the Test and Measurement division managing third party supplier strategic contracts. Her next 17 years were spent in various finance roles of increasing responsibility where she supported supply chain, marketing, sales, and the P&L functions of the PC Division, Printing Division, Pointnext Services, as well as Enterprise Group. After leaving finance, Jas served in the Americas HP Networking RBU as the Sales Operations Leader where she drove pricing strategy, field sales enablement, business operations and implemented Channel strategic growth programs. She has also served as Vice President of GTM/Product Management for AMS Hybrid IT RBU and was responsible for GTM strategy of HPE's Converged Systems and Cloud portfolio, field programs, NPI program management, product category management, and Channel enablement. 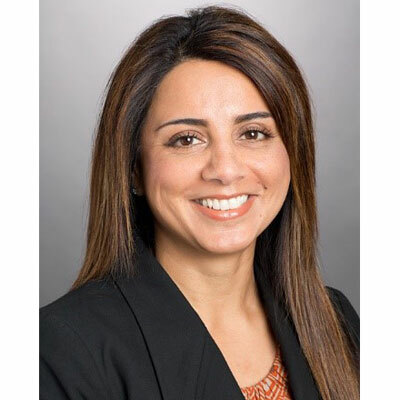 Most recently, Jas was the Vice President of Business Operations for the North America Data Center Hybrid Cloud Business and served as the Sales leader for HPE Data Center Networking. In this capacity Jas drove the integration of acquisitions and business operations and sales across all business segments for Data Center Networking. In my former role as Vice President of Business Operations for North America Hybrid IT my team led the efforts to enhance the pricing programs to increase velocity of our channel business. We also initiated various competitive pricing programs in collaboration with our partners, all to drive and grow the channel business. In my current roles as VP of Sales for the SMB Segment, 100% of our business is with the channel. I have implemented a streamlined partner program which drives more focus for the SMB segment with our partner base. In addition, I have improved the process whereby our channel partners get leads from HPE to enhance the business opportunity and growth of the footprint across the market segment. Since we sell with the channel, we have very close relationships and we plan the business within the territories together by doing account mapping and hunting together. We develop sales plays together and sell to the customer as one collaborative team. My goal for the SMB business is to growth with our channel partners at least 20%. In addition to drive over 300 new logos. My goal is to also increase the SMB segment business across our partners. I also yearn to make our SMB program the best and be a program other channel partners want to be a part of . I won the "YODA" award from our North America SVP and General Manager. This is an award he gives to someone he felt broke barriers and implemented change. I believe I won this award because I am willing to speak my point of view on what changes need to happen to support an d improve the business. And while I can make those suggestions, I also am able to implement and see them through. I don't hide away from a challenge. I admire a good friend of mine, Nancy Couper. I admire her because she is a phenomenal athlete but she is constantly trying to improve and better herself. She has the right to brag and boast about all of her accomplishments but she is humble and extremely motivating to her clients and friends. Seeing her train and compete, motivates me to push myself. Be confident, even if you think your opinion doesn't matter, because what matters is that you have a point of view and you aren't afraid to voice it - that is how to become confident. Empathy. In our business many times things go wrong with our delivery of product, or our product or implementation of our solutions etc this doesn't have anything to do with sales necessarily but we are the face to the customer so being able to understand the customer's viewpoint and to be their advocate is critical.